In the summer of 2013, a small fishing boat encrusted in barnacles, shells, and seaweed washed up on the shores of Crescent City, California. 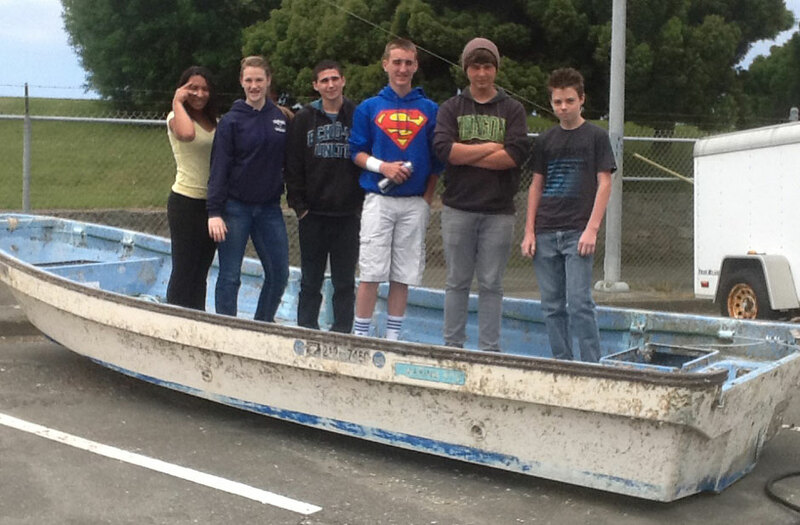 It was owned by Takata High School in Rikuzentakata, Iwate Prefecture, and having been washed away by the March 11 tsunami in 2011, this tiny vessel journeyed across the entire Pacific Ocean.The Del Norte High School students who discovered this boat decided that they wanted to return the boat to its rightful owners. 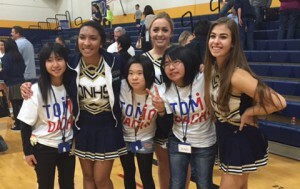 The students spent the summer cleaning the boat, and in September, the fishing boat made its return journey across the Pacific, and returned home to Takata High School. From February 15 – 23, 2014, the TOMODACHI-Del Norte High School 2014 Delegation to Rikuzentakata consisting of 6 students and 6 staff, visited Japan for a tour of Rikuzentakata, Iwate Prefecture. They met the students and saw the boat that they worked so hard to clean. They hoped to lay the groundwork for a long-term relationship between the two schools.